Andrew Burges, Alex Wilson, Jo Tinyou, Celia Carrol, Anna Field, Chris Su, Chris Mullaney, John Nguyen, Louise Lovmand, Nadia Zhao. 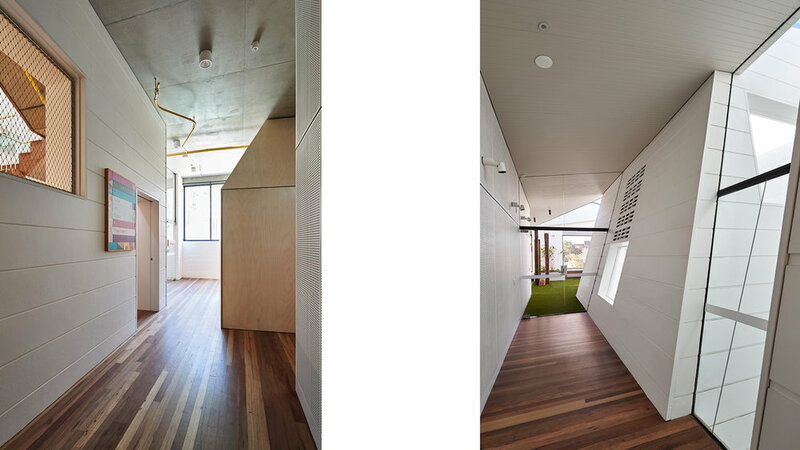 Our brief for the adaptive re-use of an existing 4 storey masonry 1920’s warehouse building was to create a multi-level childcare centre with a community space on the top level and the closure of Berwick Lane to create a unified link to the existing playground across the lane. 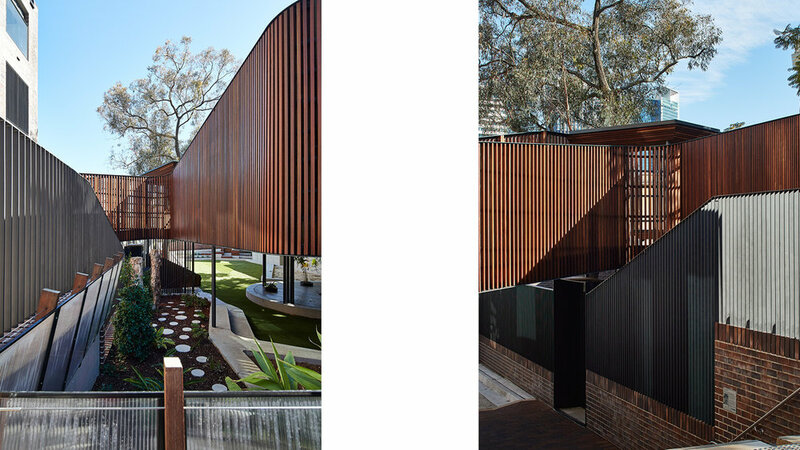 Following extensive urban studies and community consultation a more imaginative urban design solution was developed – Berwick lane remained open and was embellished with a generous new sandstone stair, a tree house bridge above the laneway connected the building and outdoor playground, and the community space was positioned to connect, and help activate, the laneway. Drawing inspiration from the tight knit urban texture of the inner city and the wonder and exploration urban life offers, the childcare centre program was re-imagined as a mini city at a child’s scale – circulation as streets and laneways, gardens and recreational space within the building footprint, a sandpit as a central plaza open to the sky, and infrastructure revealed in the yellow pipes of the ceiling.